i was wondering if anyone knows if this phone has aol instant messaging? Hello! to everyone, Please i am a student and am soo crazy about this Treo 650. I really want to buy it, but when i tried it out, it was a bit complicated for me to use because it was my first time using a Treo 650. I really like the way the Treo looks and the way it works. I tried the one i wanted to buy, the battery was very low soo when ever i switch the phone on to charge the battery, it say that battery very low is shutting down in 25 seconds. 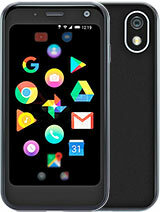 I was a bit irritated about this issue, but apart from that everything works well i guess and the one i want to buy is a GSM version which is made in Taiwan and i hope it is a very good model type like the ones available in the market today. I think the problem is from the battery and may be if the battery is fully charged, the phone will be okay. I am a student and the reason why i want the Treo 650 is that it might be of good help to me in future with my studies(like presentation,email and research) and on the other hand i don't know whether it is only made for business people who want to check their emails, task and browsing on the move!!!!! wanted to know if anybody had any cracks, registratin codes or anything like that for programs such as ringo and voicedial. help would be appreciated. thanks!! I'm planning to buy palmone Treo 650,It seems like its a gr8 pda phone,Now i'm using o2 mini ....but its a pocket pc so could not sync with mac g4 ,it needs additional isync software..Is treo compatible with Mac os x and can i download mpeg in Treo???? purchase the tero 650 3 months ago as my work phone. I am really happy that i pick this phone. the functions are great and i don't need to take my pda to work as well. It sync nicely with my outlook at work. May need rebooting now and again. but what the hell. so does most pc. The CDMA (Dual band) is blue and does not use a SIM card. Q: is there any way I could know whether the Treo I have is the GSM World Phone Quadband or just the Dual band? Help..
really a great phone. Not easy to use at first. Is there any software where the standard look up can be by Company name rarher than a persons name. I store my records by company as many of the people in each co change but the co details stay the same. This is a standard on Palm PDA's why not on the phone. Can anyone tell me whether i can record phone conversation with this phone. I intend to buy one. Can anyone plz tell me what PIM functionality means...and does Treo 650 posses office applications alongwith some decent organizer/scheduler software? Damn! It is superb the functions are amazing please go for it. Don't have one yet. Baught as a Xmas gift for son just got a qiuck look, but seems like a good PDA/Phone. This looks like a good site for Treo lovers. palmOne Treo, is a true invention of technology, i must confess that this phone worth having. GO FOR Treo 650 it's being paid for if you have to use a GSM phone. sorry about the stupid question, but i realy have no ideea if i can connect a usb flash drive to the palm treo through a usb cable or something... is it possible?